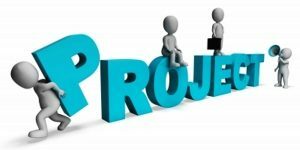 Deadline for implementation of projects under the Rural Development Programme (RDP) 2007 – 2013 relates to 2500 projects that are underway is extended to 15-th of October. 1,500 of all projects are private and 1,000 are public – mostly municipalities, churches, community centers- said the director of the State Fund Agriculture- Rumen Porozhanov for Radio Darik. The news actually was announced yesterday by Agriculture Minister Desislava Taneva. She explained that the bonus will be able to benefit performer`s projects with outgoing deadline – September 15, but not those whose contracts had to finish earlier. Porozhanov stated that the extension of the project by one month allows activities to be carried out with the tolerance and to prepare necessary documents for payment. State Fund Agriculture`s estimates of expected payments to the agency by these 2500 projects arenearly 1.2 billion levs, to be lodged with. “There will not be declared payment, without being proceed and we will deliver all projects under the rules,” assured Porozhanov. On topic of great interest of farmers to measure 121 for the purchase of agricultural machinery Porozhanov said that procedure of taking documents ended on 14.9.2015 and is expected by the end of that day submitted applications to swell to 1000. Porozhanov said that about 200 000 lev is average on the requested projects so that 500 projects will be approved within the available € 50 million, which are covered by the measure. They will be agreed in early October, so until mid-November money to be paid. The goal is to reduce State Fund Agriculuture`s loss of funds from the old RDP to 50 million euros.Big business objective is to provide funding, but here in Bulgaria banks look very restrictive to funding, even the Guarantee Fund did not work as it should, said Rumen Porozhanov. He noted that under the new Rural Development Programme 2014-2020 it has already started some projects and has already processed 730 applications submitted for agricultural production. Completion and approval for young farmers will start next week. Next step is a reception of processing of agricultural production. It was discussed in the initial reception to participate municipal projects, will tighten the criteria for public procurement – roads, parks, sport facilities, water. We will not linger on this admission, because the construction industry is booming thanks to the operational programs and would appear scope for further work next year. It is prudent municipal projects are still at the beginning of the Rural Development Programme said Porozhanov. Besides Structural Fund Agriculture will draw up a timetable for the adoption of Rural Development Programme, there will be scheduled a month for payments under the Guarantee Fund and budgetary financing. Fund from October 16th will begin with payments coupled to production breeders, in December will be extra payment- to agro-environment which is started in the old programming period In January should start direct payments for organic farming. The aim is that beneficiaries have clarity when you get paid, said Porozhanov.